Chris Pratt thinks the Guardians of the Galaxy characters are more humane than other superheroes. The 38-year-old actor plays the role of Star Lord in the Marvel Cinematic Universe, and Chris - whose character has been through lots of personal strife in the superhero movies - has come to his defence in light of his latest appearance in 'Avengers: Infinity War'. Responding to the criticism Star Lord has received, Chris explained: "Look, the guy watched his mother die, he watched as his father-figure died in his arms, he was forced to kill his own biological father..."
Star Lord's actions in 'Avengers: Infinity War' have already been endlessly debated online. But the Hollywood hunk thinks that his character's emotional reaction to the death of Gamora is what has made the Guardians so popular among fans of the franchise. He told RadioTimes.com: "I think he reacted in a way that's very human, and I think the humanity of the Guardians of the Galaxy is what sets them apart from other superheroes. I think if we did it a hundred times I wouldn't change a thing. "I guess you could have the movie end a half hour earlier if you wanted, but it seemed like people really liked this." 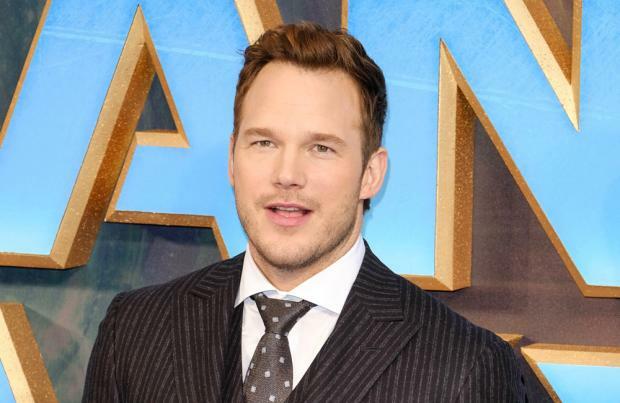 Chris - who made his debut as Star Lord in 2014's 'Guardians of the Galaxy' - jokingly added: "Also, I blame Thanos, OK? Jeez, how come he's not getting any blame? Clearly I'm very sensitive about this."